Mike Fier's pro baseball career ended in 1991 after shoulder surgery. But he never really left the game, according to The Minneapolis Star-Tribune. By 2007, he was 39 and still playing, just in a senior amateur baseball league in his home state of Minnesota. "I love being back out here," Fier told The Star-Tribune that August. Fier's brief pro career began in 1989, taken by the Expos in the 10th round of the draft, out of Mankato State, what is now Minnesota State. At Mankato State, Fier threw 13 complete games from 1987 to 1989, still tied for sixth all-time at the school by 2009. In 1988, he struck out 65 batters. With the Expos, Fier started in the rookie Gulf Coast League, getting 12 starts there, with a 2.03 ERA. He also went 5-3, with 57 strikeouts. 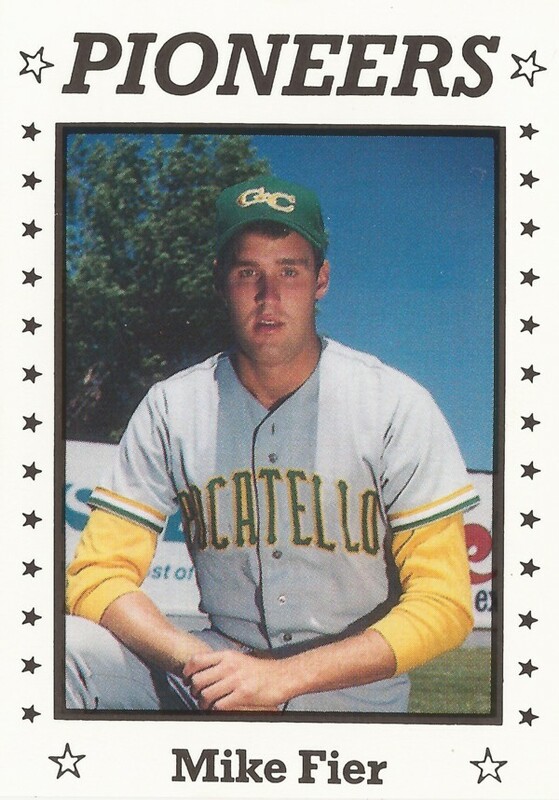 For 1990, the Expos optioned him to independent Gate City in the rookie Pioneer League. There, his ERA went up to 6.51, over 13 starts. He also went 0-8, that shoulder injury ultimately ending his career. He has since returned to playing, in the senior amateur leagues, with the Minnetonka Saints and the Minneapolis Millers.